We have given a list of minimum number of books because we think that instead of going through many books, revisions will be helpful. SBI PO 2019 examination is around the corner and all of you must be busy preparing for the same with all the vigor and enthusiasm. The most important aspect of the preparation phase is that students are confused about the best books available in the market. Number of books and study materials are available in the market, that become difficult to choose best of them for a new candidates. That's why, we are providing "List of Best SBI PO Books for 2019 Exam" these books are recommended by subject and exam expert. These books are very helpful to crack SBI PO 2019 exam. 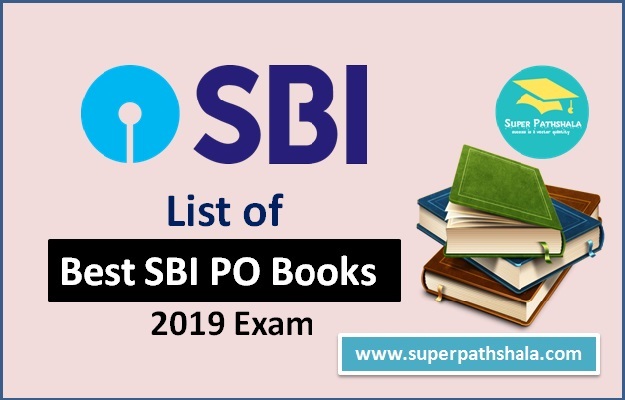 What books should be followed to prepare for SBI PO 2019? Number series, Approximation, Square root and cube root, Simplifications. Partnerships, Percentage, Ratio and proportions, Average & Ages Ratio & Proportion. Profit and loss, Simple interest and compound interest, Time and work, Time and Distance, Average, Mensuration, Permutation and combination, Data tables, Probability, Pie Charts, Bar Graphs, Line Graphs, Mixed graphs, Case study. Coding & Decoding, Inequalities, Syllogisms, Puzzles (Especially Seating Arrangement), Blood Relations, Direction Sense Problems, Data Sufficiency Problems, Series Problem, Input-Output/ Sequential Output Tracing, Statement-Assumption/Conclusion/Argument/Course of Action, Ordering and Ranking. Vocabulary, Synonyms, Antonyms, Error detection, Grammar, Idioms, and Phrases, Para jumbles, Cloze Test, Fill in the blanks, Reading Comprehension. Current Affairs can be prepared from the monthly magazines such as Banking Services Chronicle (BSC Publications), Newspapers etc.